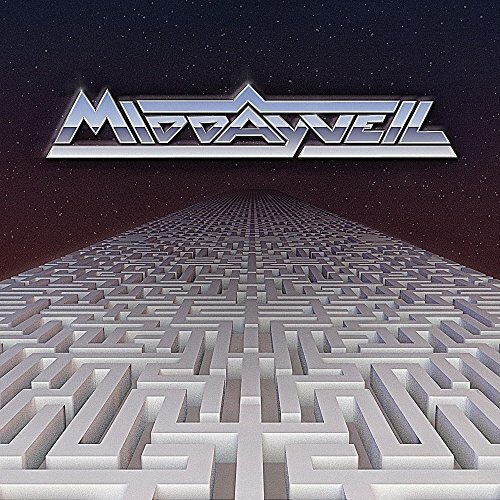 Rarely does an album cover elicit such a question mark response as this new release from the Seattle-based Midday Veil. It looks like the first layer of a Megadeath cover. Or the trailing image of the worst science-fiction movie ever made. Yet, in some ways, with the sci-fi lyrics and spacey keyboards and solid 90s goth band vocals, it actually might even be a good representation of the music inside. I would suppose this is somewhat of a concept album as the first track ‘Babel’ has the founding member, Emily Pothast, in her strong, rugged, yet sensual delivery singing: ‘This wilderness amazes me ,but covers me with shame ,when I aspire to codify ,the thing that has no name… K.